Welcome to our first blog of 2019! Here we are at the beginning of a new year. This is always a time when people look forward with hopes for what opportunities the new year will hold. It is a time for reflection, forecasting, and putting plans into action. 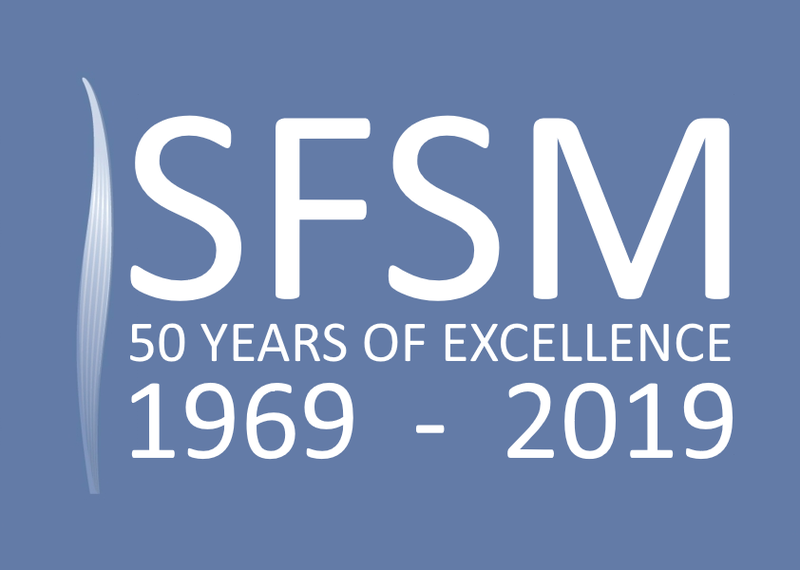 For us here at the San Francisco School of Massage & Bodywork, this year is more than just the next year, it is a significant milestone in our own journey. 2019 is our 50th year in massage education and to our knowledge, makes us one of the oldest massage schools in the country. 50 years is a substantial achievement for any business, never mind a massage school. In fact, according to the U.S. Bureau of Labor Statistics, as few as 36% of businesses make it to the 10 year mark and only 21% see their 20th anniversary. The number of companies who survive 50 years is so slim that we actually cannot find any statistics on it. Suffice it to say, having survived a half century is a uncommon achievement. Our humble little school has seen many things come to pass in that time. Born out of the tail end of the hippie movement, we watched the Transamerica Pyramid go up, witnessed the first San Francisco Pride, felt the warmth of the seminal burning man on Baker Beach, and saw the original critical mass ride through our city’s streets. We also experienced the Moscone-Milk murders and subsequent White riots, saw AIDS devastate the city’s population and our student body, and survived the Loma Prieta quake just days after our 20th anniversary. Throughout it all, we have been fortunate enough to learn and grow thanks to good luck, dedicated instructors, and most importantly our amazing students. During this 50th year, we will reflect upon our storied history and share some of it with you. We also hope to bring you some special opportunities to celebrate this milestone with us. We are so proud to have become a genuine San Francisco institution and wear that mantle with humility and deep gratitude. A heartfelt thanks to all of the visionaries that have helped us along the way and continue to shape the future of massage therapy in our classrooms. Thank you to the thousands of amazing students who believe in us and who believed in themselves; we literally couldn’t have done it without you! Reiki is a Japanese technique for stress reduction, relaxation, and healing that has roots in ancient Eastern philosophy. It is built upon the idea that an unseen, innate life force energy flows through and animates each of us. If this life force energy becomes depleted, we are more susceptible to stress and illness. However, when this energy is abundant, we are more capable of maintaining our health and cultivating happiness. A Reiki treatment addresses the whole person; mind, body, emotions and spirit, and can create a sense of wellness, peace, and deep relaxation. It utilizes a variety of hand positions to stimulate and renew the flow of life force energy. 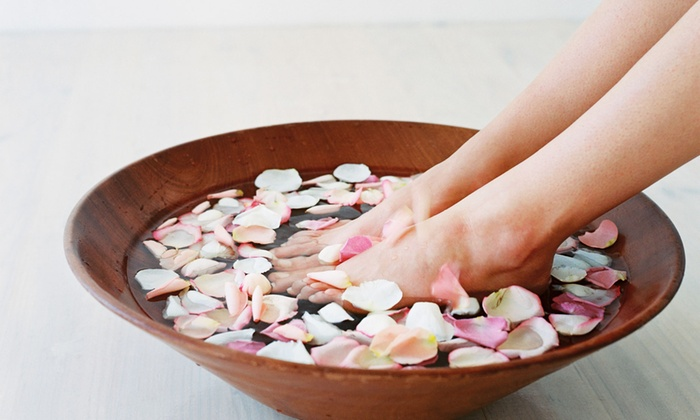 It is gentle, nurturing, and completely safe and a treatment can leave you feeling radiant and renewed. For those interested in hands-on healing techniques, Reiki is a great entry point. It is easy to learn, gentle and safe for recipients and the practitioners, it requires no special equipment, and can be practiced literally anywhere, even at a distance. Generally speaking, Reiki doesn’t typically require special licensing to practice, so you can begin working with people as soon as you have completed your training. Reiki training is often divided into three degrees which contain instruction and a sort of energetic initiation known as an attunement. 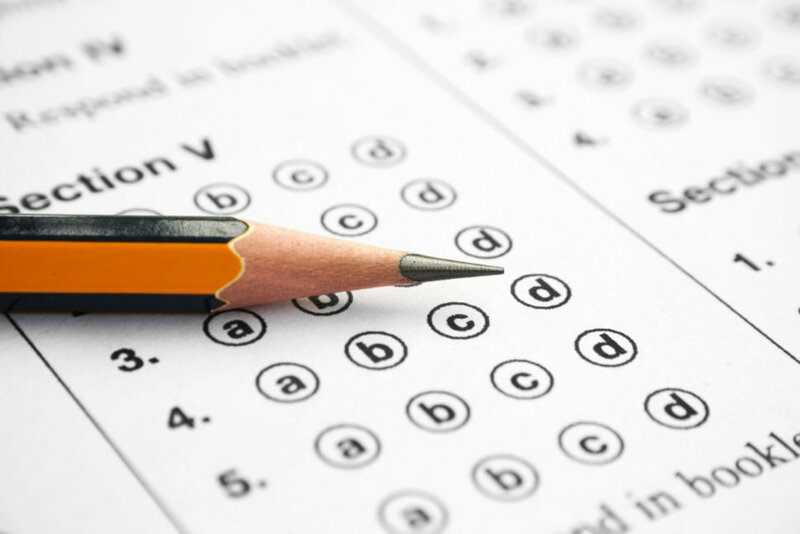 Each degree introduces news depths of the techniques to practitioners with the first conveying the basics and the second instructing practitioners in the use of Reiki symbology. The third and final degree typically takes the form of an apprenticeship and instructs practitioners how to attune and teach new Reiki initiates. In the 90+ year modern history of Reiki after its rediscovery, it has been taught to thousands of people, regardless of their age, ability, or background. While Reiki is metaphysical in nature, it is not a religion and does not endorse a particular dogma or spiritual path. There is nothing you need to believe to practice Reiki. You need not even believe in Reiki to have it work. The life force is intelligent and inherently knows what to do. The best practitioners simply get out of the way and let the energy do what it needs to do. This may all sound like a bit of hocus pocus but, studies continue to reveal the benefits of Reiki in areas such as improving patient outcomes and increasing quality of life. In fact, many hospitals have begun to add Reiki to their list of complementary and alternative medicine options along side massage, acupuncture, and meditation. This expanding application of Reiki is due to its non-invasive methods, safety, and broad application for recipients of all ages and health levels: It is excellent for children, the infirm, and elderly patients alike. Because of its versatility in application and ease of learning, Reiki is a great way to get involved in the healing arts. For the same reasons, it also makes a wonderful skill for existing hands-on practitioners to add to their repertoire. If you’d like to learn more about Reiki, check out one of our Reiki workshops or read more here. Question or comments? Let us know below! Prenatal massage, also known as pregnancy massage, is a modality of massage specifically geared to address the myriad changes that take place in the bodies of mothers-to-be. It provides the general benefits of massage therapy while also introducing some benefits specific to pregnant women. Once regarded somewhat dubiously as a risky modality, modern research has shown that not only are most of the risks overblown but that the benefits well outweigh any trepidation. Massage therapy is increasingly found to have numerous benefits. For the pregnant client, massage can decrease stress, ease muscular tension, reduce joint pain, improve sleep, and alleviate anxiety; just like it can for any other client. But, prenatal massage can also ease labor, positively impact hormone balances, improve birth outcomes, and even increase the general health of newborns compared to those whose mothers did not receive prenatal massage. Many of these benefits are quantifiable but others, such as the psychological impact of an expectant mothers self-care or simply surrendering to being nurtured, are more delicately complex and understated, but none-the-less important. Most massage therapists will be familiar with much of the basic theory and technique behind prenatal massage. However, pregnancy brings with it vast biological and physiological changes to the body. Carrying a baby will impact everything from posture to sleep patterns and can profoundly change how massage therapy should be applied. Most importantly, prenatal massage comes with a special set of indications and contraindications that require the massage therapist to modify techniques, propping, draping, and more. What’s more, some of these modifications will change throughout the pregnancy, a woman’s body will be quite different in the third trimester compared to the first. These differences will impact how massage therapy is performed. Because prenatal massage is more than just massaging someone who is pregnant, getting proper training is key. Massage therapists must be educated in the process of pregnancy from conception to birth and be able to adjust the application of massage techniques accordingly. While some of the contraindications, such as no deep pressure to the abdomen, may be obvious, others are more nuanced and require familiarity and guidance from an experience professional to fully grasp. Further, the prenatal massage therapist will need to understand some of the other potential issues that may arise, such as preeclampsia and edema, and be able to coordinate therapy with other health care professionals. For all of the aforementioned reasons, most doctors will strongly encourage patients to seek out a certified prenatal massage therapist. Hence, being certified in prenatal massage is a key ingredient to receiving referrals and creating a healthy prenatal massage practice. As the known benefits of prenatal massage continue to expand, so do the numbers of expectant mothers who seek to add massage to their prenatal care regimen. This is reflected in the fact that prenatal massage has been one of the most requested modalities year after year right along side Swedish massage and deep tissue. As such, many massage clinics, hospitals, and spas are increasingly requiring their massage therapists to be certified in prenatal massage. Even if you are in private practice, there is a good chance that your existing female clientele will be among the 6.2 million women who become pregnant in the US each year. Being able to provide them with quality prenatal massage therapy ensures a consistency of care and the ability to retain them as clients throughout their pregnancy, postpartum, and beyond. Besides, being a part of a mother’s journey through pregnancy, birth, and motherhood is extremely rewarding. The real question is, why wouldn’t you learn prenatal massage? If you would like to learn more about prenatal massage and receive training and certification from one of the bay area’s most experienced prenatal massage educators, check out our upcoming “Pregnancy & Postpartum Massage” workshop with Leah Kennedy, CMT. Comments or questions? Let us know below! Craniosacral therapy is a gentle, non-invasive set of evaluations and techniques used to influence the function of the craniosacral system in the body. Developed by Dr. John Upledger DO, the therapy has been proven effective in treating a variety of different medical issues associated with pain and dysfunction. The therapy draws from an area of medicine known as cranial osteopathy which was developed by Dr. William Sutherland. The word ‘craniosacral’ is a portmanteau of cranium and sacrum because the system extends from the cranium down through the spine and terminates in the sacrum. The craniosacral system protects the organs of the central nervous system, the brain and spinal cord, with cerebrospinal fluid and a network of membranous tissues. Because the craniosacral system encases the core of our nervous system, it plays a role in the development and function of our brain, spine, and extended nervous system. As such, dysfunction in the craniosacral system can be responsible for a variety of sensory, motor, and neurological disorders from chronic pain to learning disabilities. As a treatment, craniosacral therapy is thought to stimulate the body’s innate healing mechanisms, improving central nervous system function, relieving the negative impacts of stress, and bolstering overall health and disease resistance. As the functioning of the craniosacral system is very subtle, practitioners utilize a light touch to test for restrictions and apply gentle techniques to influence the movement of cerebrospinal fluid within the system. These techniques can also extend to the manipulation of cranial, facial, and spinal bones to further facilitate proper function of the system. Craniosacral techniques also induce a state called a ‘still point’ where the cerebrospinal fluid ceases to circulate and the craniosacral system resets. The experience of a still point is extremely relaxing, dramatically reducing stress and calming anxiety. 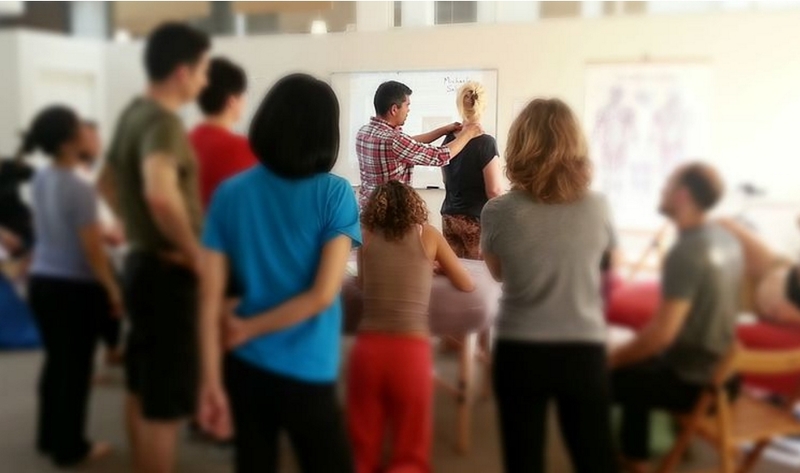 Though the breadth of evaluations and techniques under the craniosacral unbrella is a robust method of bodywork unto itself, many of the basic skills can be integrated into a standard massage session. While practitioners often use craniosacral therapy to enhance relaxation and the efficacy of their work, massage therapists who are trained in this modality also develop a profound ability to palpate subtle changes in the body, thereby deepening the physical communication between the therapist and their client. These skills add more diversity to the range of clients and conditions that can be addressed in a standard session and also improves existing massage techniques by enhancing the therapists hands-on sensitivity. Further, the ability to create a craniosacral still point during a massage can facilitate deep relaxation and allow other massage techniques to ‘sink in’ as the client becomes more receptive. 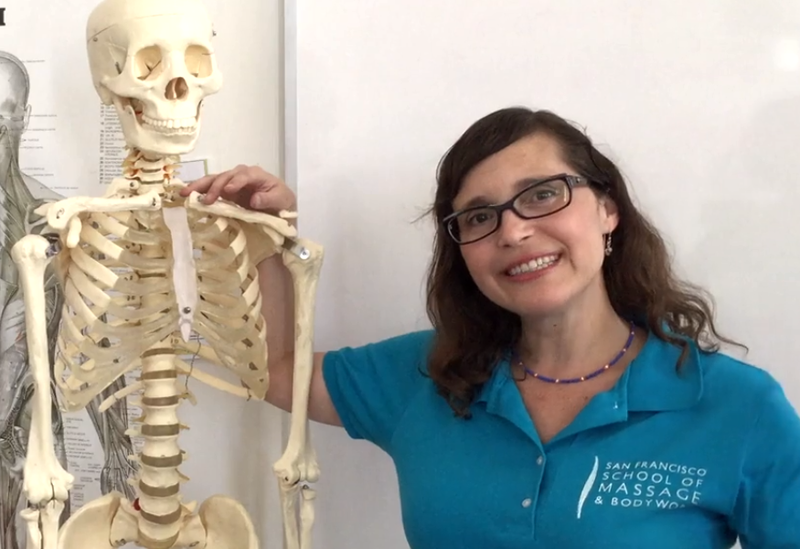 For all the reasons above, at the San Francisco School of Massage & Bodywork, we feel that basic craniosacral techniques are highly valuable for the average massage therapist to possess. 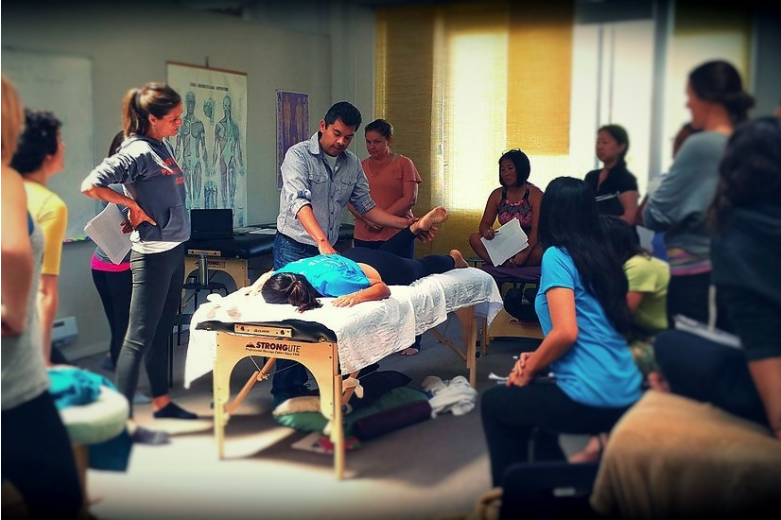 While we teach some basics in our massage therapist program, in our Cranial-sacral I and Cranial-sacral II continuing education workshops, we focus on the most effective craniosacral techniques for massage therapists to integrate into their daily practices. 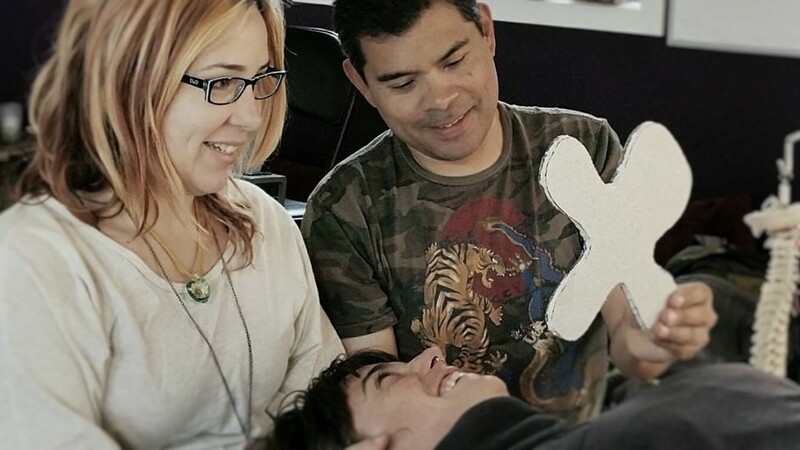 If you are curious about craniosacral or just want to gain some practical skills to improve your massage sessions overall, these workshops are a wonderful and useful introduction to the capabilities of this remarkable therapy.